In reading my post from last night, I think perhaps I sounded a little whiny. The comment about barbed wire was a bit graphic, but I think it drove the point home that my tummy was not happy and feeling ill treated. After getting some food down and a good night's sleep, I feel like a new person. The term barbed wire reminded me of this photo I took a few years back. 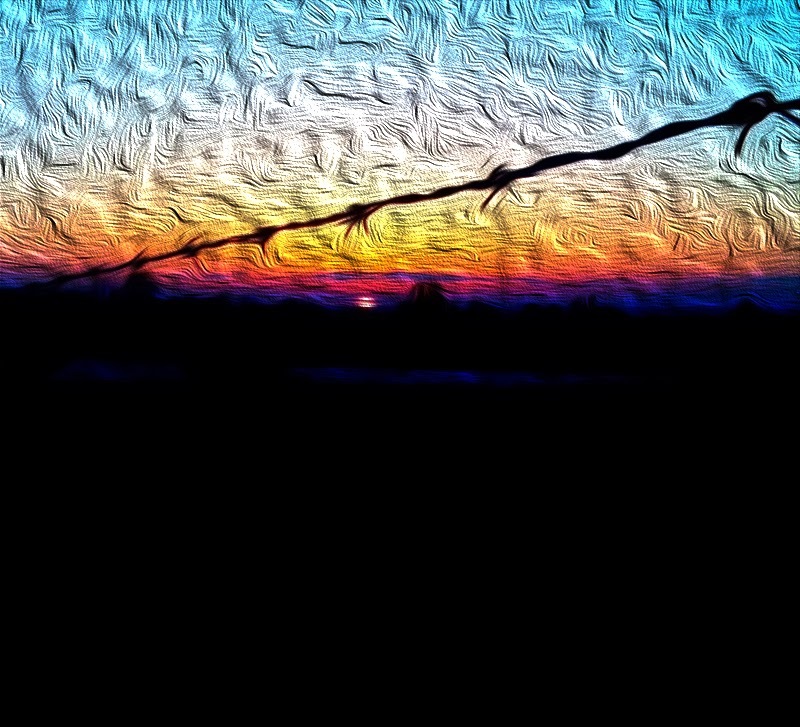 I call it Barbed Wire Sunset. 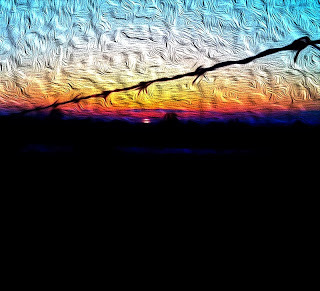 I don't think I've ever seen barbed wire combined with a sunset before--certainly never so beautifully!! I hadn't read your previous blog until a few seconds ago, and then I popped over here and read this one. I do hope that you both are feeling much much better. It sounds like you are. Stay warm, and have a beautiful week. Happy Thanksgiving to you and your sweet wife. It has been hard to get your posts to come up these last few days I always enjoy them. Happy Thanksgiving! Glad you feel better...interesting picture! Very pretty and artistic. Rainbow colors. How do your photos achieve that texture? That is exquisite. 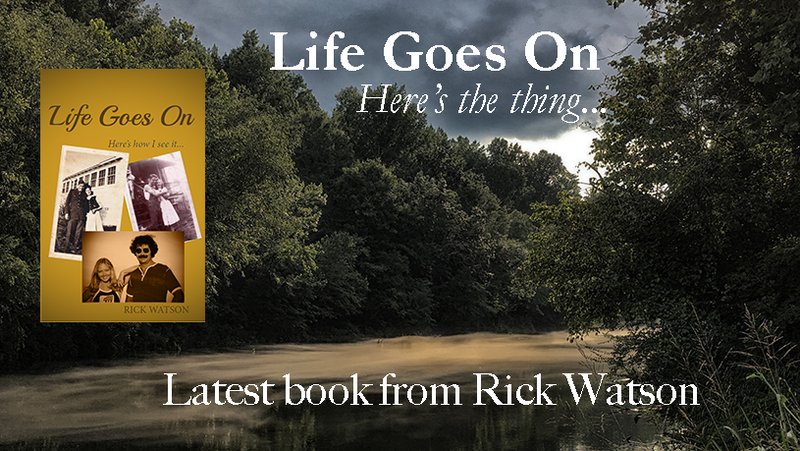 You need to have a book of "Watson on the Water" or something...Happy T-Giving. That is a beautiful photo, reminds me of Van Gogh Starry Nights. Mother Nature wears pretty colors. Stunning photo. You are entitled to say you feel crappy once in a blue moon! Don't beat yourself up.